the Library – Waikoloa Region (FL-WR) to Kealakehe H.S. graduate Gene Maluyo. This full scholarship covers two year’s tuition, fees, books and supplies in the Transportation and Applied Technology Department at Hawaii Community College. Gene was selected for his excellent academic record, as well as his desire to study auto mechanics. He stands out as team player who, according to his Kealakehe H.S. advisor, is reliable, responsible, persistent, polite and a great communicator who is always willing to help others. 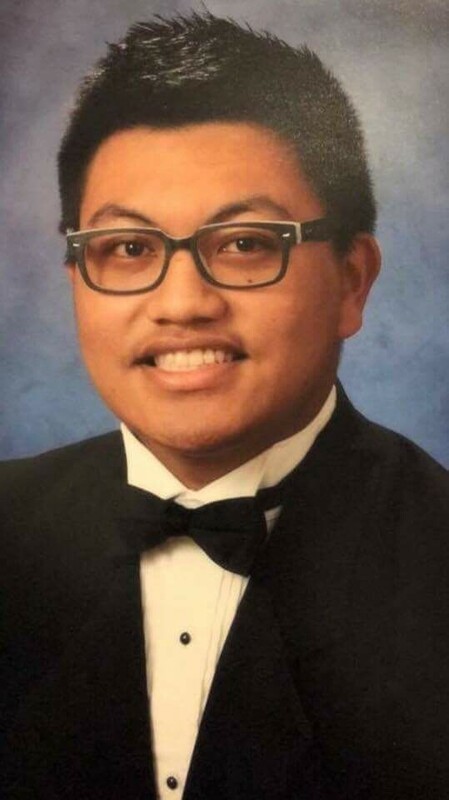 He was involved with several extracurricular activities, including National Honor Society, cross country track team and Kaiopua Paddling team. The scholarship is funded by Luella Spadaro, in memory of her husband Joseph, and administered by FL-WR. Joe and Luella lived in Waikoloa Village for many years. Born in Italy and a veteran of WWII, Joe was successful in several careers: while working at Honolulu Gas Co., he converted Aloha Airlines’ fleet of ground equipment to propane and later repaired hydraulic systems on minesweepers. He later taught auto mechanics at Kamehameha School. Joe was a problem-solver and always enjoyed learning. Because Joe was a passionate advocate of trade education – automotive mechanics in particular – when he died in 2013, his family chose to honor his memory by helping future mechanics. Automotive mechanics is one of the trades that does not enjoy much financial support. The Spadaro Scholarship is one of several FL-WR programs that support education and love of reading. FL-WR maintains and staffs a bookmobile, and provides leadership in its mission to bring a public library to the Waikoloa Region.